What does button H control? What function does button B Control? What does it mean to Park a Call? When can you adjust the volume of the ringer? How would you transfer a call to another user if you don't have a dedicated button for them? Please select all valid answers. Why would you Park a call instead of transferring it? What does the red light on Button G Indicate? 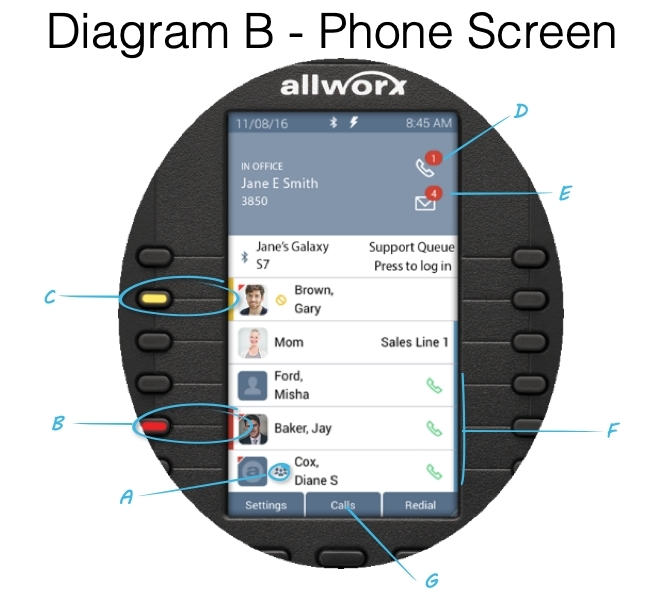 Which button allows you to use the on-screen phone book? Which of the following *won't* transfer a call directly to a User's Voicemail? Select all options that are incorrect. What does Button A do during a call? What do the buttons labeled D do? If an option isn't clearly availible what might you try? What does the indicated icon for Label A mean? How many calls has Jane missed? How many New Voicemail Messages does Jane have? Jane needs to see who called her earlier, how does she see her call log? Jane has a call on hold, what key would she press to make another call while the person is on hold? What do C and B indicate? What number do you dial to make an outside call? Why would you press ignore on a ringing call? Select all options that are correct. Why would you silence a call? Why would you press the messages key twice? 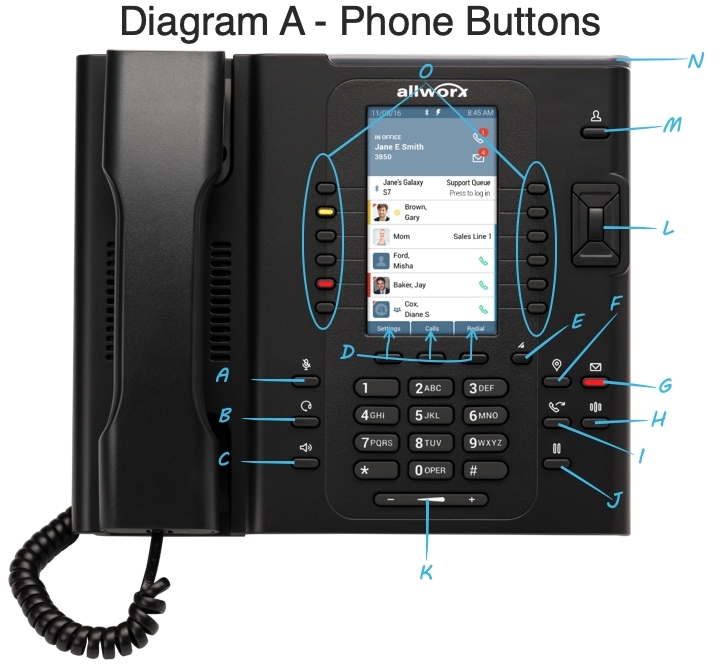 Why would you want to use visual voicemail?